Noise cancelling headphones are awesome for certain situations. Maybe you want to listen to your music at work, but you can’t have your colleagues distracted by excess noise. Perhaps you’d like to listen to your music at the gym without being bothered. Or, maybe you need a good pair of headphones to sleep on the airplane. Whatever the case, you can find great headphones in a variety of price ranges. Here we compare some of the most comfortable noise cancelling headphones around. 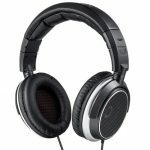 What Should I Look For In A Pair Of Noise Cancelling Headphones? What Is The Difference Between Active & Passive Noise Cancelling? 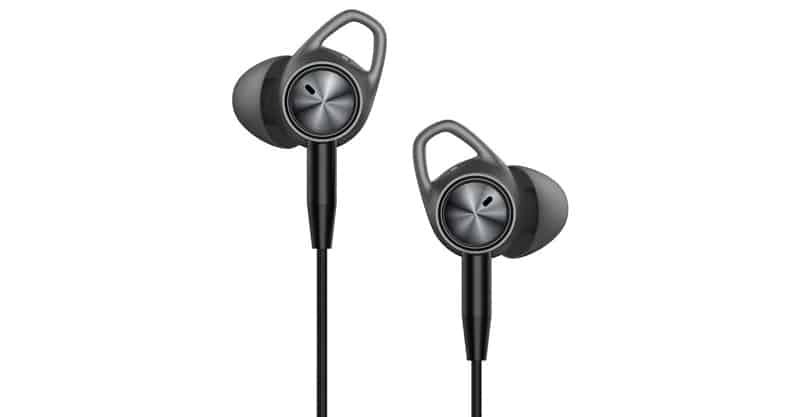 Should I Buy Earbuds, In-Ear, Over-Ear Or On-Ear Headphones? Below in this guide we’ve sorted out the most comfortable noise canceling headphones by price (under $50, $100, $150 and $200). If however money isn’t an issue and you want the most comfortable pair that’ll give you the best results, then one of the below three might be right for you. If you’ve already done some research, it won’t come as any surprise that the QuietComfort 35 would make this list. 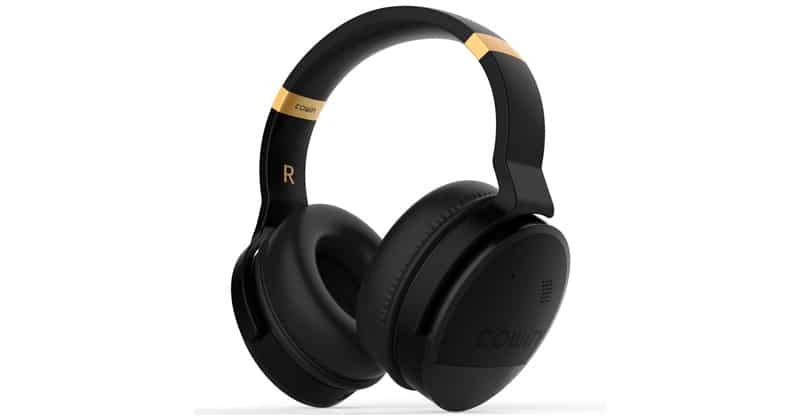 These headphones offer three levels of noise cancellation, come with Alexa-enabled voice access to music, information and more, and are also equipped with a noise-rejecting dual microphone system for clear sound and voice pickup. So, what makes these cans so good? For starters, they probably have the best noise cancelling of any headphones mentioned so far. They’ve got a great mic for making calls, though that may not be a big consideration of yours. They’re also light and comfortable and have a long battery life. The only downside, as I see it, is that they could sound better. They do offer a clear sound, the sound stage is wide, and each frequency is well tuned. But they have a bit of a sterile sound to them – just nothing exciting. Apart from that, the reviews speak for themselves. This is a great pair of headphones. The Sony WH-1000XM3 sit somewhere between the Bose and Bowers & Wilkins headphones just mentioned. They feature a more lively sound than the Bose, and better noise cancelling than the Bowers & Wilkins. So, some users may like that compromise. 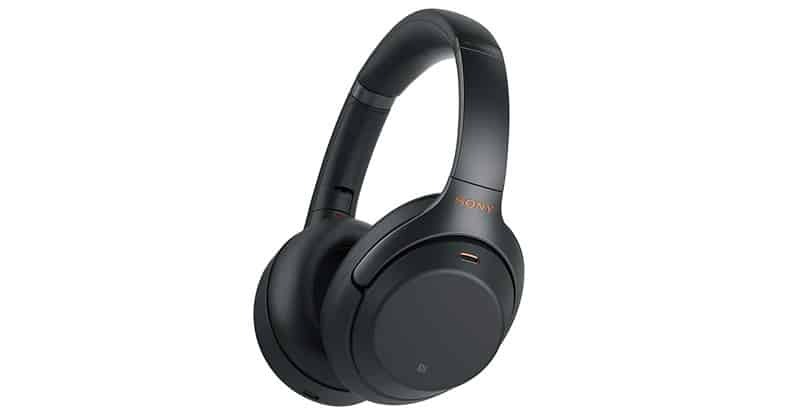 The Sony pair features 40mm Liquid Crystal Polymer drivers, 30-hour of battery life, Smart Listening, Quick Attention Mode, Touch Sensor controls, an ergonomic design, a carrying case, charging cable and audio cable for a wired connection. Again, in terms of overall quality, the Sony headphones sit nicely between the previously mentioned QuietComfort 35 and PX pairs. 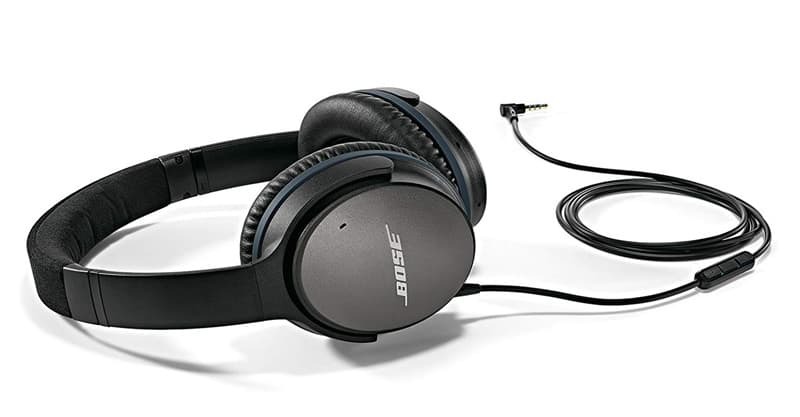 Their noise cancellation is not as effective as Bose, and their sound quality isn’t as good as Bower & Wilkins. But there’s no doubt they are a good in-between pair. This is not a pair of cheap cans. 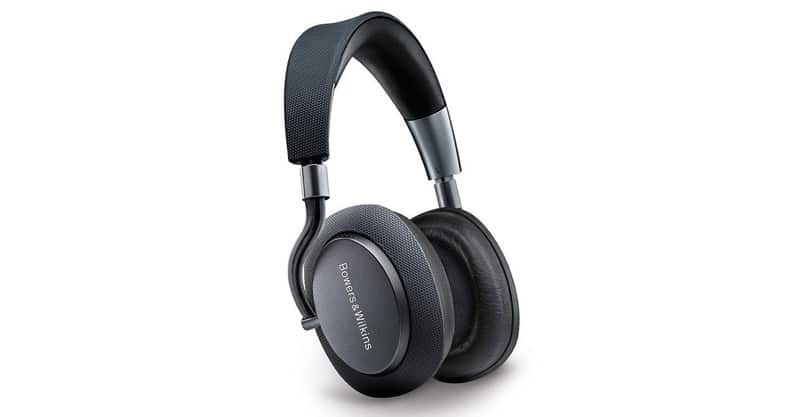 The Bowers & Wilkins PX headphones feature a simple and sleek design, come with adaptive noise canceling, use the same drive units from their P9 Signature headphones, and pauses when you lift an ear cup and goes to sleep when you put them down. They also come with a 22-hour battery life. In terms of design and features, the PX pair is quite stunning. But where they truly shine is in the sound department. 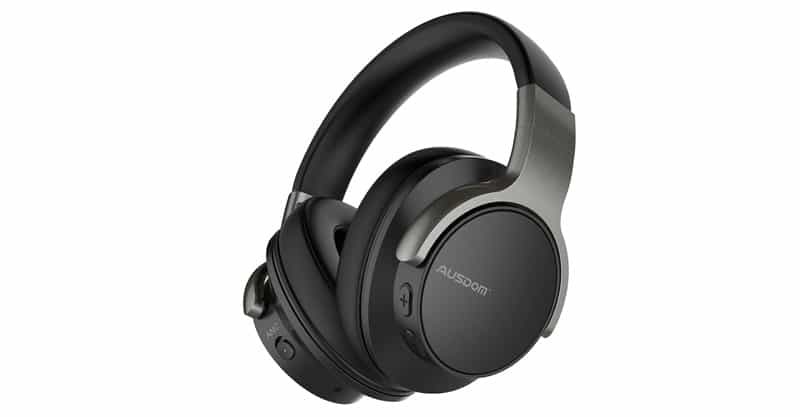 They are probably among the best-sounding wireless noise cancelling headphones available. The sound stage is neat and organized, the instruments have room to breathe and surprisingly, they sound like open-back headphones. From detail to dynamics, there’s nothing here to complain about. But you buy these, you will make a bit of a sacrifice in the realm of noise cancelling. They’re not bad noise cancelling headphones by any means, but they don’t block out human voices terribly well. Aside from that, the Bowers & Wilkins headphones are stellar. Sure, you can buy a pair of headphones for under $50. And, they may be decent. But don’t ask for the world if this is your budget. Still, there are some products worth checking out in this range. Here they are. If you prefer a proper pair of headphones over earbuds in an affordable price range, then you might consider the Avantree ANC032 phones. 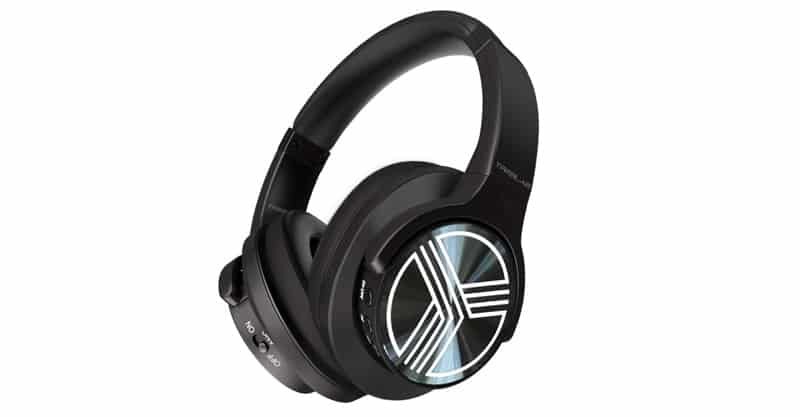 These headphones will reduce distracting low frequency background noises, come with precision-engineered 40mm stereo drivers with a Bluetooth CSR chipset, and they are lightweight and durable, foldable and user-friendly. For the price, these are good headphones. Even for larger heads and ears, these can be quite comfortable. The sound is a touch muddy, but overall, they’re quite good. If you have nothing to compare it to, you would likely say they sound great. The main criticism I see for these is that the microphone is poor quality, and it doesn’t work that great with non-aptX Bluetooth devices. If that doesn’t bug you too much, then you might just like these Avantree cans. Earbuds are generally a good option in this price range. The TaoTronics earbuds reduce environmental noise and distractions by up to 25dB, comes with a built-in MEMS noise cancelling microphone for phone calls, an active noise cancelling slider, monitoring mode button, inline controls and an airplane audio adapter. Overall, the TaoTronics earbuds offer a balanced sound with rich bass frequencies. Even audiophiles might get a bit of a kick out of these. And, the passive and active noise reduction features allow you to enjoy your music without being distracted by other extraneous noises in the environment. For the average user, earbuds are probably a go-to. And, I wouldn’t be inclined to spend a whole lot more on a pair of earbuds unless they’re something spectacular. You might want to check out TaoTronics if you think this might be what you’re looking for. These days, $100 can get you a surprisingly great pair of headphones. The jump from $50 to $100 can be quite significant, so if you aren’t too eager and you’re willing to save up a bit before you buy, this is a good price range to aim for. Here are a couple of pairs of headphones worth considering. 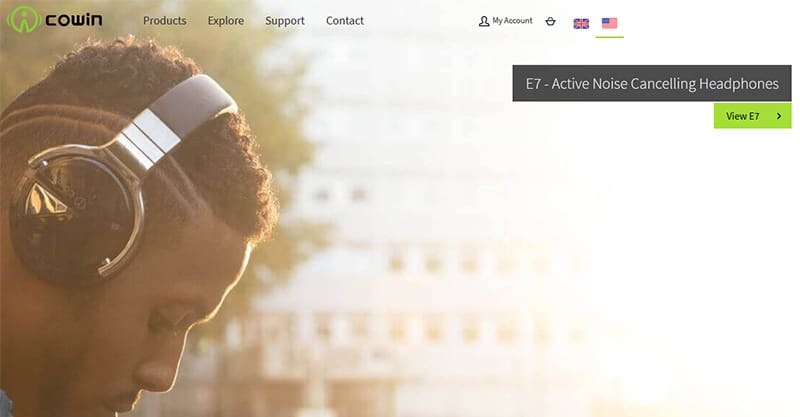 The TREBLAB Z2 over-ear Bluetooth headphones come with aptX high-performance neodymium-backed 40mm speakers, T-Quiet active noise-cancelling technology, 35 hours of play, and they’re made of comfortable materials that make them perfect for working out. The easy-to-use Z2 headphones feature a basic design. The headband and cans are well-padded and adjustable. They have a great bass response without being overbearing, but if you like a lot of bass, these phones might not be for you. The highs are smooth and bright, which is a plus. 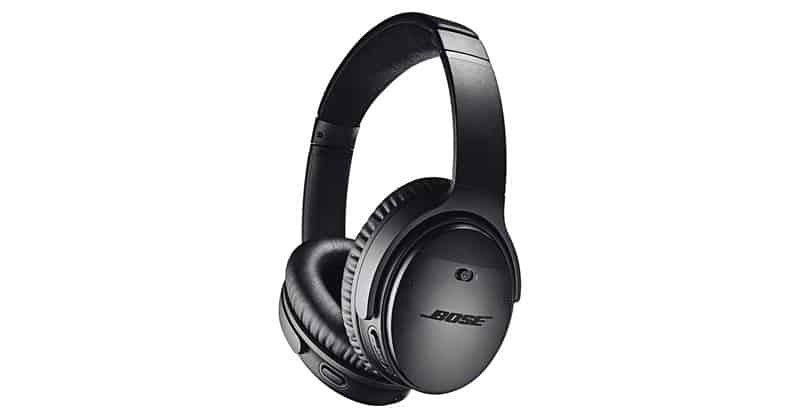 In most situations, you will want to use these cans with the Active Noise Cancelling (ANC) on, as this is how they sound best. Overall, the TREBLAB headphones have been received well by customers, so they’re worth a look. The AUSDOM ANC8 are good value for the money. 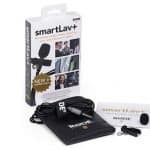 They are adjustable and comfortable, foldable and portable, lightweight, are compatible with most smartphones and tablets, come with a protective bag and a one-year warranty. Overall, the ANC8 are solid headphones with good build quality. They’re easily adjustable too, but when adjusting you should use both hands. Some reviews state that the headband can get uncomfortable after a while, so while that may not be your experience (you won’t know until you try them out), that’s good to know. As for sound quality, these are not the best in the price range. They’re good to great in just about every other regard. But music just sounds a little “flat” through these phones. But again, you get what you pay for, and the Ausdom headphones really aren’t that bad. Interestingly, headphones in the under $150 range are a little harder to come by. It could be because there isn’t a huge bridge to gap in quality between the $100 and $200 price range. This is generally the price range where consumers with discerning ears are more critical, because they begin expecting more from their headphones, as you should also. Here are a couple of pairs that could be the right fit for you. 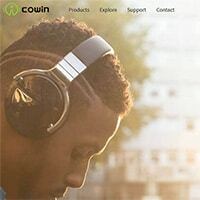 The COWIN E8 comes with Active Noise Cancelling (or ANC) technology, soft and lightweight over-ear cushions, built-in microphone and Bluetooth, rechargeable 20-hour battery and an 18-month warranty. Now, if you liked the Cowin E7, but didn’t think they were all that comfortable, that’s one area where E8 is far superior. The ear cups are a lot more comfortable, and the softer material doesn’t hurt either. The larger cushioning also makes a difference. The one downside is that because of these materials they aren’t particularly good in hot environments. So, beware. The E8 is also an improvement over the E7 in the sound department. The large 45mm drivers allow for more volume, with a maximum of 100dB. Its bass is still present, deep and accurate, but the midrange is what makes all the difference, bringing out more clarity to vocals overall. The Skullcandy Crusher headphones are available in Black or Gray/Tan. They come with two full range 40mm audio drivers and two subwoofer drivers, adjustable bass levels, up to 40 hours of rechargeable battery life, a noise isolating seal and Bluetooth wireless controls and mic, which allows you to take calls and adjust your volume. But what about their sound? Well, the Crusher is quite bass heavy, and has present highs without being harsh. The treble, however, isn’t precise or refined. 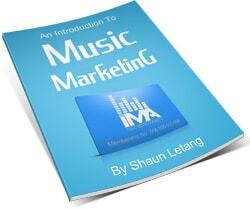 The mids aren’t bad, but the treble tends to take over for vocal tones. And, there is a bit of noise in the higher frequencies. As for comfort, these have a decent amount of space for your ears, but they can clamp down on earlobes over time. If you have bigger ears, then this pair may not be for you. 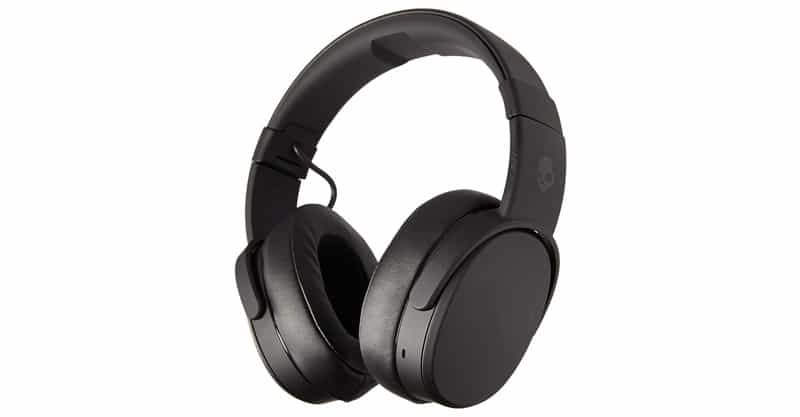 Skullcandy does have many offerings, however, and I am going to cover another one in this guide. My impression of under $200 headphones is that they don’t differ significantly from under $150 headphones. You might gain access to slightly better brands, looks, sound and features, but the difference is not that significant. Where it tends to make the bigger difference is in the over $300 range. In any case, here are a couple of pairs of headphones that should make you happy in this price range. The Skullcandy Venue headphones come in Black or Vice/Gray/Crimson. These headphones can help you create your own quiet space, come with built-in Tile technology to help you track your headphones, a 24-hour battery with rapid charge, monitor mode and active assistant for accessing Siri, Google Assistant, Cortana or otherwise. Noise cancelling is where these headphones shine. The onboard controls are also nice, giving you more control over your sound without having to pull out your device every time you want to make an adjustment. Meanwhile, the sound does leave a little to be desired. These aren’t for audiophiles, that’s for sure. The mids and highs seem a little cluttered, and if you play at high volumes, there is a bit of bleed, so people around you will be able to hear what you’re listening to. The controls could also be more intuitive. 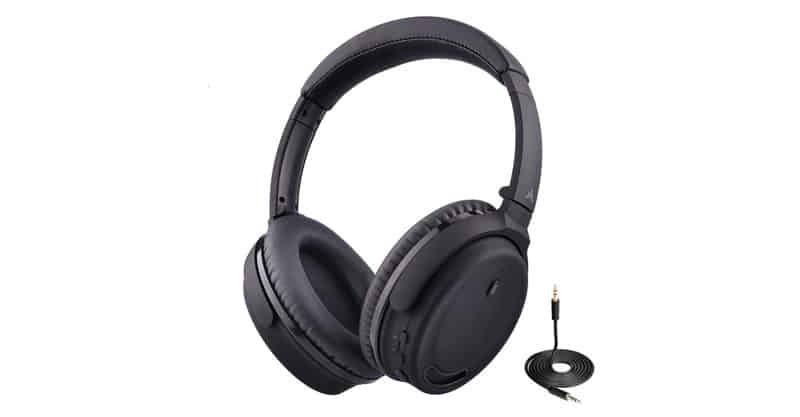 But this is still a good choice if you’re looking for noise cancelling headphones. I generally like Bose audio products as they are quite solid for what they are. The QuietComfort 25 phones will give you a nice, deep sound, are lightweight and comfortable, and give you the ability to control your music and calls on Apple devices that have an inline mic/remote. And, just so you know, there are more feature-rich and better quality QuietComfort headphones, such as the QuietComfort 35 Series II. 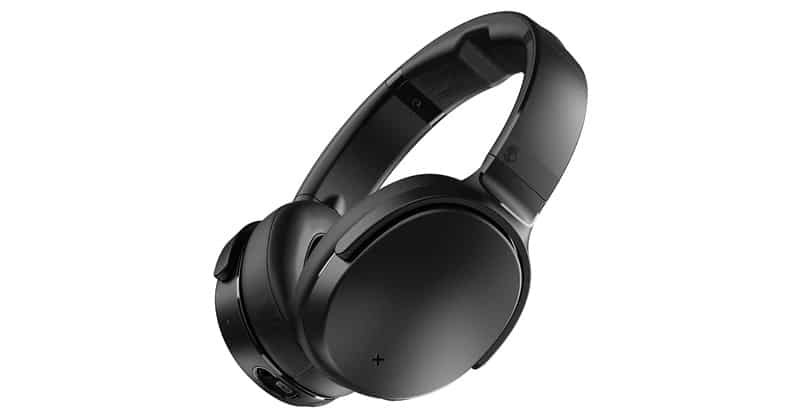 In terms of comfort, the QuiteComfort 25 is an improvement over previous models, with new materials, redesigned headphone cups, and an easy way to tell which cup should go over which ear. The QuiteComfort 25 can be used without noise cancellation and battery power. But it is much better with the noise cancellation activated and a battery inserted. The sound, as expected, is high quality. All frequencies are clear without any bunching or bundling. And, they don’t sound half bad without noise cancellation turned on. The Bose pair is my favorite in this price range. Truth be told, everyone is looking for something a little different in a pair of noise cancelling headphones. If you’re just looking for a basic pair of headphones that cancel out distracting noises, then you can pay your $80 to $150 and be on your way. 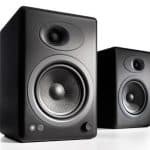 But some consumers want more out of their noise cans, whether it’s audiophile-level sound quality or features that allow them more freedom and flexibility with their other electronic and mobile devices. So, that can make your shopping a little more complicated, especially since there are so many brands and models to choose from. Still, I think there are only four factors you need to pay attention to. Here’s what I would consider if I was looking at buying a pair of noise cancelling headphones. In most cases, people in the market for headphones would say sound quality is the most important thing to them. But if you’re looking to buy noise cancelling headphones, that may not necessarily be the case. The good news is that you don’t need to compromise on sound just because you’re planning to buy noise cancelling cans. If you want a pair of headphones that sound amazing across the frequency spectrum, you can find them. 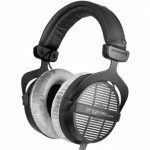 But if the “noise” part is what matters to you most, then you should look for cans that offer the best noise cancelling capabilities (in the price range you’re thinking about buying). The average consumer may not notice a huge difference in sound from one pair of headphones to another, unless they were testing them side by side. Meanwhile, if you consider yourself an audiophile, or even an experienced listener, then you’re going to be more discriminating in your tastes. Just be sure that you know what you’re after in terms of sound quality, and then go looking for it. Many brands claim you can wear their headphones for hours without any discomfort. Unfortunately, this isn’t something you can know unless you’ve tested them for yourself. What’s comfortable for one person isn’t always comfortable for another. So, while it’s always a good idea to read the reviews – I suggest you do – even that may not help you get to the bottom of this. Now, spending more typically assures better build quality, which means more comfort. So, your budget will at least partially factor into this. One other thing you can do is head over to your local electronics or music instrument retailer and try a few on for yourself. That won’t necessarily tell you whether you can “wear them for hours”, but it’s an important starting point. So, if you know you’re going to be wearing these cans on airplanes, car rides, train rides and so on, it’s best to determine their overall efficacy before buying. Comfort is a major factor, though oftentimes not quite as important as sound quality. I could be wrong in making this assumption, but I think most people looking to buy noise cancelling headphones are interested in a pair that’s lightweight, portable, and possibly even foldable. This would especially be true if you were planning to take the cans on an airplane, ship or train. Now, this expectation must be tempered with build quality. Generally, the more you pay, the more solid the materials and build quality will be. This is an important consideration if you’re planning to travel a lot. Naturally, headphones aren’t that expensive, but they aren’t exactly disposable either. You want them to last for a while. Since you can’t test the durability of headphones (i.e. without incurring some unwanted expenses), I would suggest checking the reviews to see what you can find out. 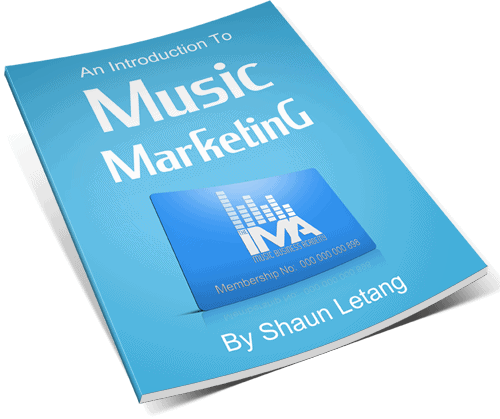 In most cases, you can expect to learn how dependable a pair of headphones is, or if there’s anything specific (i.e. a component) you need to give careful attention to. These days, Bluetooth capability is quite popular. But some like having the ability to plug in their cans using cables too. Some like having onboard controls they can use to adjust their sound. Others just want to be able to operate their headphones entirely from their device. Some people want to be able to mute or turn off their sound to hear announcements at train stations or airports. Others don’t need this function, because they’re just planning to use their headphones at the gym. Some want to be able to adjust their headphones until they feel perfectly comfortable. Others don’t require extensive adjustments to feel at home with their noise cans. Some want to be able to plug in their headphones on the airplane. Others don’t see that as a requirement. So, ultimately, it just depends on what you need and what feels right to you. To me, sound and comfort is what matters more than anything else, so the features wouldn’t play a huge part in my buying decision. But that could be different for you. You may have noticed a couple of references to active and passive noise cancelling in this guide. So, you might be wondering what the difference is, and which is better to have. If you find yourself in environments where there’s a lot of noise you’re looking to cancel out, then this is going to be an important consideration for you. Passive noise cancelling is accomplished by the materials the headphones are made of. These materials block out sound waves, much the same way a hood or a hat would. Active noise cancelling involves the creation of sound waves. The sound waves created by active noise cancelling essentially mimic outside noise, thereby cancelling it out. Now, some headphones claim to have passive and active noise cancelling, which is technically true. Generally, a set of headphones is made of materials that allow you to focus on the audio rather than external noise. But the amount of passive cancelling can vary a lot depending on the materials and the padding. So, basically all headphones have a certain amount of passive noise cancelling by default. True passive cancelling would be a little more involved and would depend a lot on the build and materials. If the headphones you’re looking at buying feature active noise cancelling, then you can likely expect them to be more effective overall. Now, they can take some getting used to. The sound waves they produce may feel a little disconcerting to you. Understanding how they work can aid in your experience with them. Ultimately, I wouldn’t say there’s a right or a wrong answer here. I would suggest experimenting a bit to see what you like best. For the most part, I would say comfort is the number one factor here. Fit is going to make a big difference. Earbuds (or in-ear headphones) are good for general use – going for walks and jogs, general wandering, skateboarding and the like. They can be fine on travel too. It depends a lot on what your tolerance for noise is and what type of noise you find the most annoying, irritating or distracting. In-ears are not my favorite for listening to music, though they have come a long way. For listening to podcasts, audiobook or spoken word, I think they work great. Over-ear headphones tend to have superior comfort over other types of headphones. They also tend to feature better noise cancellation and audio quality. This isn’t to suggest that all over-ear headphones are made this way, but this is the general reputation they have. So, over-ears can be good for longer trips requiring more comfort. But they are generally for the most serious users and aren’t necessarily for the general consumer. As for on-ear headphones, they tend to be lightweight and therefore more portable compared to their over-ear counterparts. They do give you a more natural sound, but also tend to let in more outside noise. Generally, they are thought to be more comfortable than over-ears, but that’s not always the case. So, for noise cancelling, your best options are likely earbuds or over-ear headphones (and, the battle between those two largely come down to preference). But for added comfort, on-ear headphones might be better. Again, there isn’t one right answer. Anything can work for any situation assuming you understand how the product works. Consider what’s most important to you as well as how you like to listen. That should help you find the best solution possible. Noise cancelling headphones are more popular than ever, and tend to come in a variety of sizes, shapes, colors and price points. They can be quite effective in blocking out outside noise, helping you relax or concentrate in any environment. Just make sure you aren’t missing important cues while wearing your noise cancelling headphones, whether it’s traffic, important announcements, looming danger or otherwise. If you’re instead looking for headphones for mixing or mastering, we’ve compared those here.